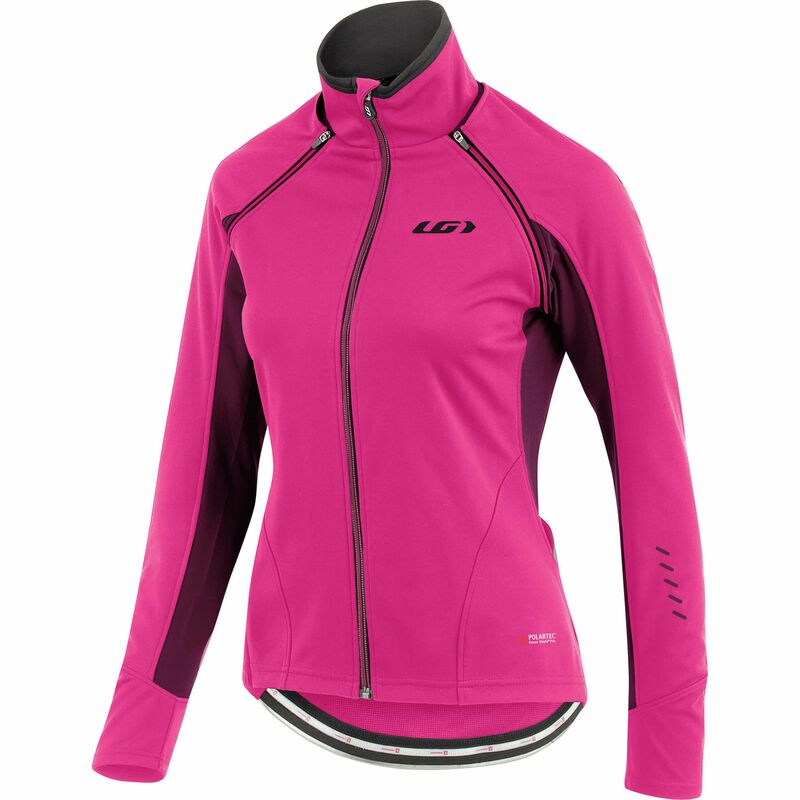 The Spire softshell convertible jacket blocks wind 30-50% more than the average softshell. The two-piece jacket features zippered removable sleeves that can be folded and stowed in middle back pocket. This pocket is not zippered but rather has a simple overlap for easy access with gloves. Two smaller pockets on back have a reflective trim for visibility when riding. While Polartec® Power Shield® Pro fabric blocks 99% of the wind, it remains breathable by construction. Combined to Vertexx panels on back, sides and underarm, moisture evacuation is increased while maintaining optimal core temperature.